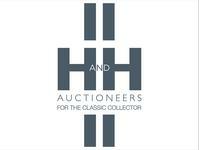 H&H Classics Limited - Duxford Auction Auction Day & Viewing Day Wednesday 20nd March 2019 Estimate: £17,000 - £20,000 Registration No:L246GMO Chassis No:SDLDCC3P6PH011617 - Just c.17,600 miles with two registered keepers from new - Dark Blue metallic paintwork with Dark Blue leather, non-PAS model - Comprehensive service history In production from 1992 to 2003, the Chimaera utilised the same backbone chassis as the Griffith but being intended as more of a long-distance tourer it was longer, more spacious and featured a softer suspension set up than its sibling. 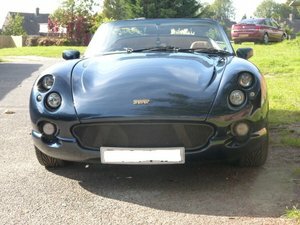 In keeping with TVR tradition, engines derived from Rover's ubiquitous V8 of varying capacities provided the go to match the show. In 4.3-litre guise, as fitted here, it is often considered to be the pick of the range giving the perfect blend of power and reliability. 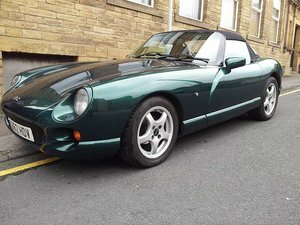 A non-power steering model, displaying just c.17,600 miles from new, this beautiful example is offered with comprehensive service history together with invoices showing various work that has been carried out over the years. Included in the history file is the original leather service book which has 10 service stamps, the original bill of sale from 1993 showing a sale price of £30,000 and the original order form detailing specifications and optional extras. 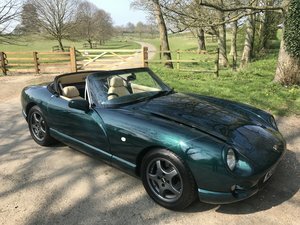 First registered to the owner of TVR dealership 'Henley TVR Heritage', the car remained in his ownership until 2017 when it was sold to its second registered keeper. 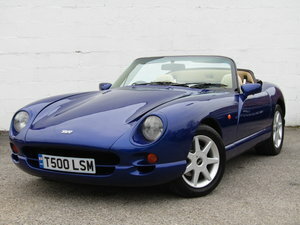 Between the years 1997 to 2002 the car was in storage covering only c.3000 miles in this time period. Since 2007 it has had very little use covering an average of 300 miles a year. Paint and trim are both said to be in "beautiful condition with next to no signs of wear". The removable factory hard top is present with no tears and is said to be "fully water tight" whilst the chassis is described as being in "excellent overall condition". Offered with Swansea V5 document, this low mileage example with just two registered keepers is expected to possess a fresh MoT in time for the sale.